Spend just ﬁve minutes with Linda Duong and you will realise what a ﬁreball of energy and insightful optimism she really is. You’ll feel convinced that if anyone can make the world happier, this lady can. Linda grew up in Vietnam, at the end of the war. Her only experience of the world outside was from black and white TV and photographs. Then suddenly, at the age of 15, she was ‘teleported’ to Sydney, without a word of English and had to ﬁnd her way in the world. So, Linda’s search for happiness began at that tender age. She had a dream – in fact she had many dreams and goals and despite the disadvantage of starting a new life in a new and foreign country where she knew not a single soul, she achieved every one of those dreams. In 2017, Linda share her story in a book entitled: If I Can, You Can– Winner’s edition, in which Linda authored the chapter ‘Follow Your Dreams’. Linda’s message and her wish for all her students is for them to grow spiritually and live their dreams, which she strongly believes is the path to less stress, less depression and more happiness, more inner peace and inner joy in our society. Linda has a passion for helping others and a natural afﬁnity with people, which led her to study in the US as a life coach. She now operates her coaching practice here in Sydney, specialising in child and parental coaching with a particular interest in gifted education and emotional intelligence to develop the fully rounded potential of a child. It was through parenting coaching that Linda realised parents are simply unable to help their children reach their full potential if they feel, perhaps that they haven’t reached their own potential. Linda’s happiness book aims to serve that purpose. Once parents have read the book, she is better able to coach them, creating a faster track for better results. Linda is quite literally on a mission to help as many people as possible. 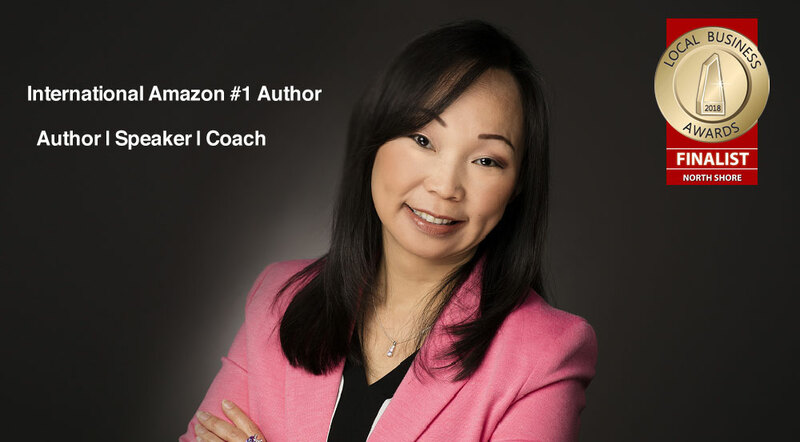 With her book, she can reach the people far and wide, and as shown in the testimonials, her works are creating a ripple effect where coaches, businesswomen have become more empowered to move beyond their limitations to help hundreds more others. Parents become happier to move on creating happier families, and many more other accounts. The author’s conference in Mexico – Experts Insights – Book Awards for the Best-Selling, Award-Winning Authors from around the globe! “After my sessions with Linda, I learned to let my kids grow and think on their own. I was able to give them space to be independent learners and to encourage them to find their strengths and talents. Linda explained it in a way that helped me unlock those keys words. I’ve heard those phrases before but Linda explained it to me in a way which made me understand and opened up my mind. It was like a lightbulb had just turned on in my head. I am now closer to my kids and understand them a lot more. Thank you so much Linda, we are very grateful for your help. You have been like an Angel to myself and my family. Someone that has come into our lives to help us when we are in need. Thank again. Love, Jacki N.
Miss Joanna C. Head of Wellbeing teacher of Sydney Boys High School. Annalie R. Grade 4 Student. We have received the feedback forms on that day. All of them were either very satisfied or satisfied with the event, quality of the presenter, interest on the topic and educational value of the event. The areas they enjoyed most were the enthusiasm of the presenter, use of simple language, sharing of the story and a pleasant conference room.